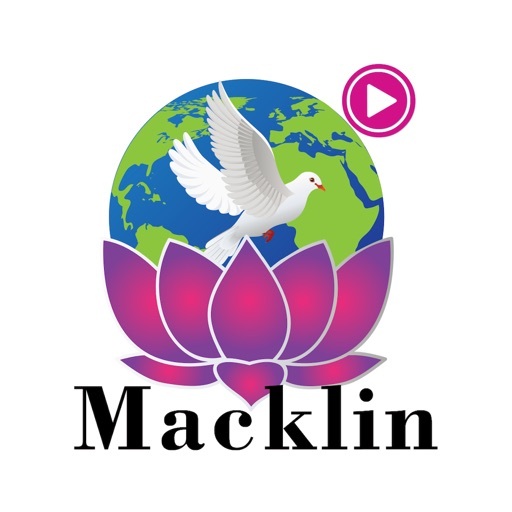 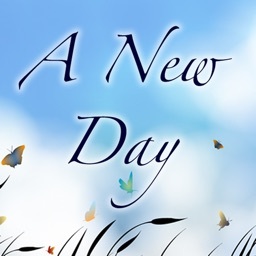 Join international speaker, author and divine healer Christopher Macklin to connect with the Divine throughout your day. 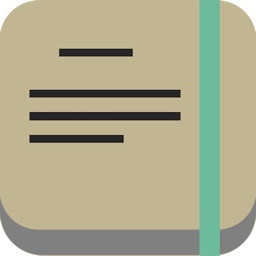 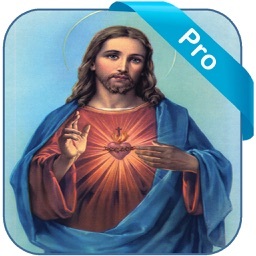 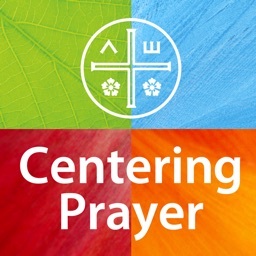 This app shares Christopher's most powerful prayers that have been successfully used by clients around the world. By playing these recordings, you too can benefit from these wonderful blessings. 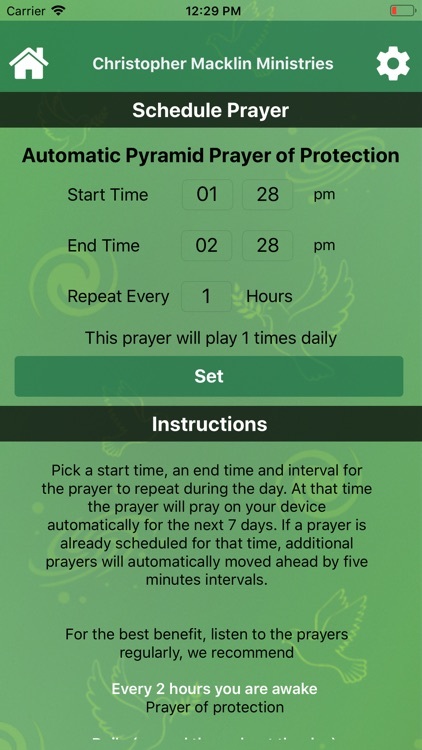 These prayers are designed to be played automatically on your behalf throughout the day. 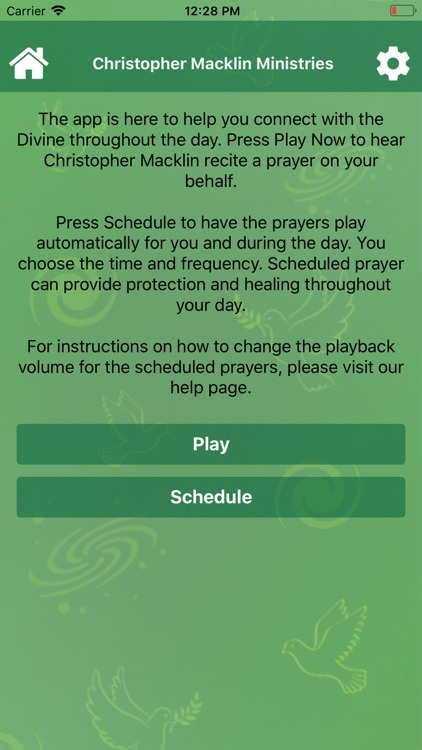 For prayers that you recite with Christopher, please see the CMM Prayers app by Christopher Macklin MInistries. 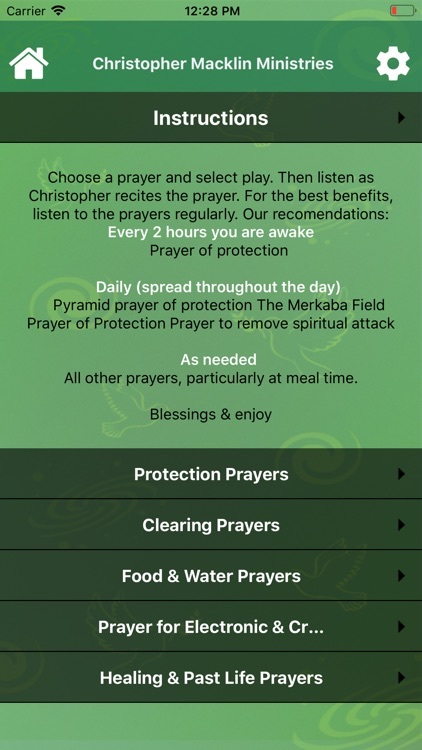 You can hear Christopher recite them for you and even schedule them to be recited automatically throughout the day! 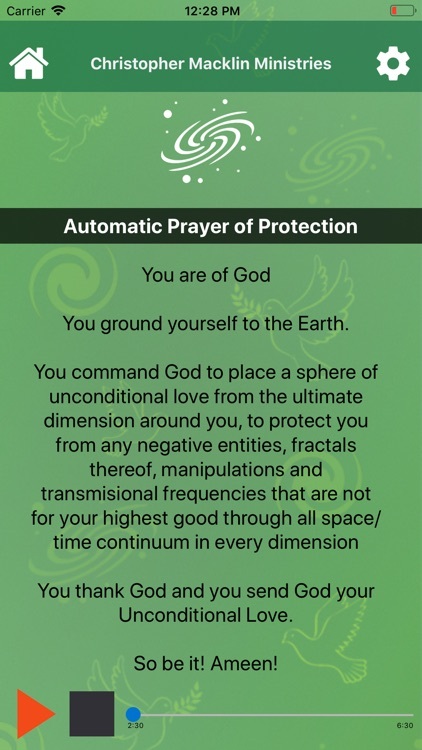 This is especially powerful for protection prayers. 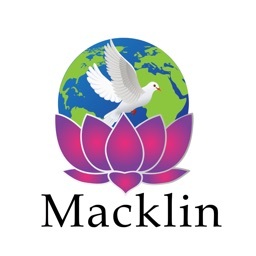 Allow the Divine energy of Christopher Macklin to work miracles in your life.